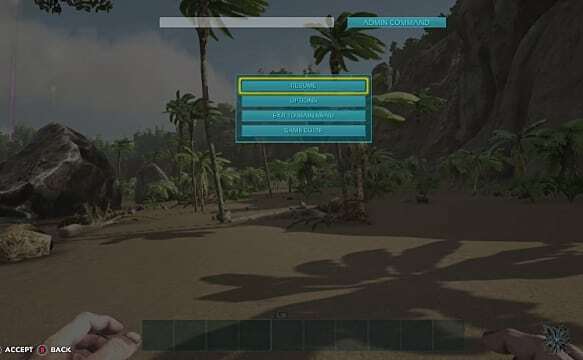 You've all seen those YouTube videos where streamers can somehow spawn any creature in Ark: Survival Evolved to figure out their stats or test different taming strategies. How do they do it? By utilizing a series of admin console commands that are hidden in a sub-menu that's not immediately available. 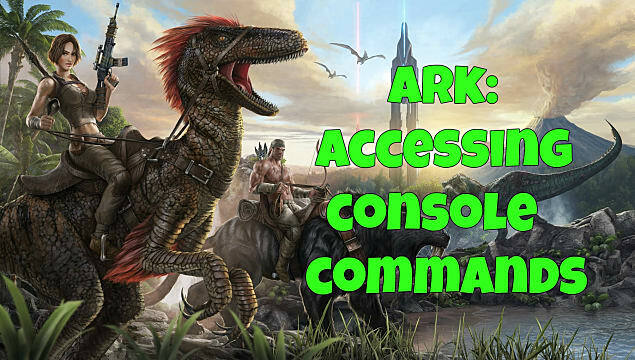 If you've always wanted to get in on the cheating action, below we explain all the most common and useful Ark console commands you might want to try out. Before you can use any of these commands, though, you'll need to know how to get to that console sub-menu in the first place. Getting into the admin console area itself is incredibly simple, although obviously many of these commands aren't going to work if it isn't your server you are currently playing on. Press the Tab key to pull up the admin console. Pressing Tab again brings up a larger version of the console on the top half of the screen. Simultaneously press LB+RB+X+Y to pull up the admin bar. Commands take more time to input if you aren't playing on a PC, since you have to type each individual letter using your controller with the on-screen keyboard. Console command cheats on Xbox One/PS4 also seem to be a bit wonky since around update 260, but expect them to return to normal functionality when the game's full version arrives this August. Before you can enter any commands using the admin console, first you must enable future commands by typing "EnableCheats" in the console, followed by the server's password, and then tapping Enter. 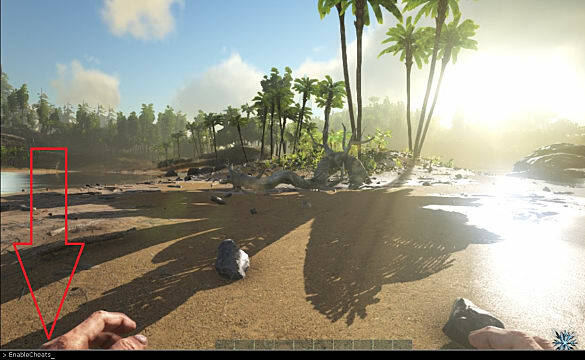 Note: If you are playing a solo single player local map that doesn't have a server password, just type EnableCheats with nothing else after it and hit Enter to get started. Remember, you still have to bring up the console each time you want to enter a new command after that by tapping Tab or using the controller button combo. One of the most immediately useful commands after enabling cheats is AdminCheat Fly, which lets you move in any direction and stay hovering in the air. You can easily scout the entire map, access hard-to-reach areas, and find out where specific dinos are spawning while Fly is active. Want to go back to normal? Just type AdminCheat Walk to disable this mode. Obviously, don't type this while you are far up in the air, or your survivor will die. From there, the most immediately helpful commands are DoTame (which doesn't require the AdminCheat precursor) and ForceTame, both of which automatically tame whatever creature you currently have highlighted. 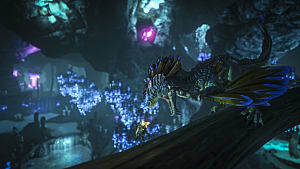 The difference is that DoTame acts as though you tamed the creature naturally -- including experience points, sound effect, and so on -- while ForceTame bypasses everything and lets you ride the animal immediately without having to craft a saddle. 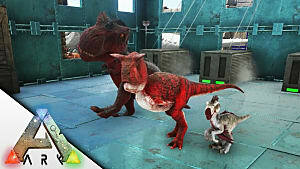 Now you want to know how to spawn individual dinos to test out, tame, and force into combat against each other, right? That one's pretty easy, but it does require looking up some specific codes. 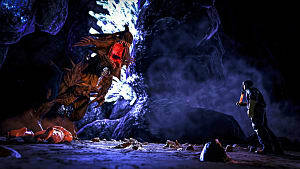 There are actually six different commands for spawning individual creatures, but the easiest to remember is Summon, followed by the creature's specific ID code. The dino will appear wherever you are currently looking. For instance, if you want a Pelagornis to appear, pull up the admin console and type Summon Pela_Character_BP_C and tap Enter. 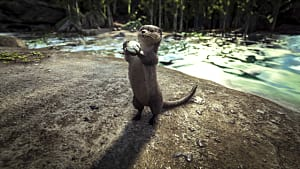 If you don't want an aggressive creature to attack you or want it immediately tamed, instead use the SummonTamed command followed by the creature ID. 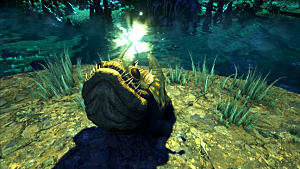 A full list of creature codes can be found at the end of this guide. Want to experience the full fun of the game without actually working for it? That's where AddExperience comes in! Type the command AdminCheat AddExperience 1000 0 1 to give the currently targeted player (or yourself) 1000 experience. Just change the number 1,000 to whatever amount you want to use. If you change the final 1 to a 0, it will instead split that experience between all tribe members of the currently selected player. 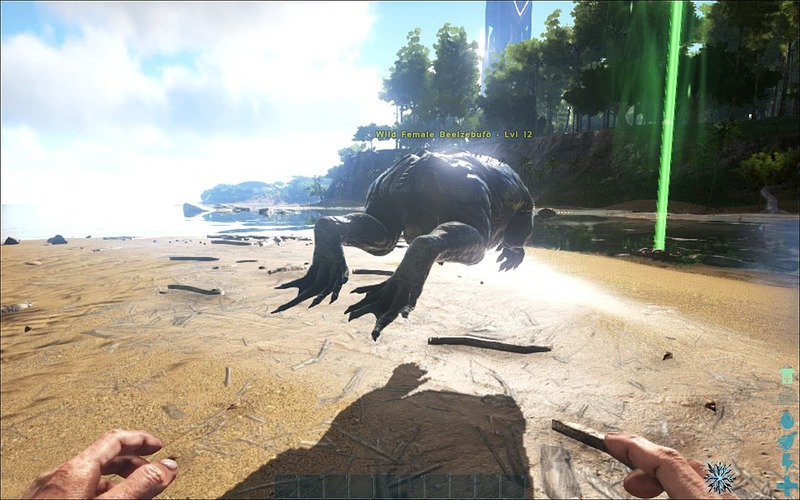 DestroyMyTarget instantly kills any dino, player, or structure you are looking at, which lets you take care of pesky creatures that are much higher level --although it doesn't leave a corpse to loot. 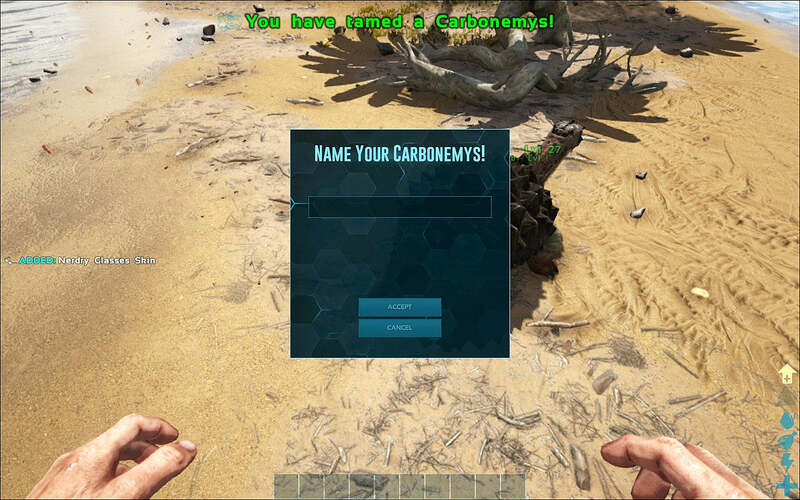 AdminCheat EnemyInvisible True will force all creatures on the map to ignore you (or the currently highlighted player), even if you directly attack them. To turn this off, simply type AdminCheat EnemyInvisible False. AdminCheat Ghost allows you to walk through any structure or terrain that would normally stop your movement. 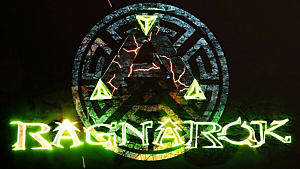 AdminCheat GiveEngrams gives every single engram in the game to yourself (or the currently selected player) so you don't have to learn them while leveling up as normal. AdminCheat GiveResources adds 50 of each resource to your backpack (or the inventory of whatever player you are targeting) so you can get on crafting and building. Note that this involves a lot of weight, so you probably won't be moving anywhere after getting all those extra resources instantly. AdminCheat God is basically what it sounds like, making you invulnerable to most forms of death and damage, although you can still drown. 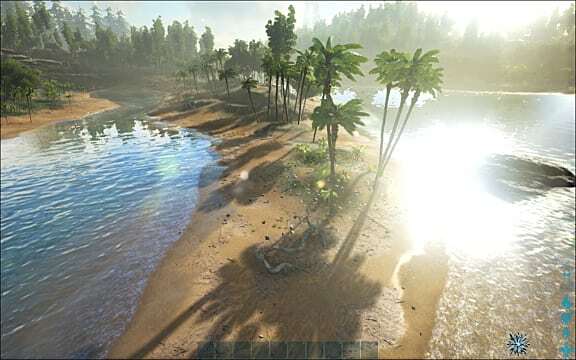 AdminCheat InfiniteStats gives you an endless supply of water, food, stamina, and prevents you from being knocked out when torpor reaches zero. It will also prevent you from drowning. 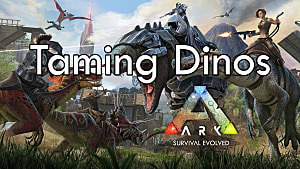 Want to spawn nearly any creature in the entire Ark: Survival Evolved repertoire, from dragon bosses to cnidaria? 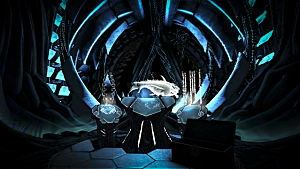 Below are the creature IDs you need to know. 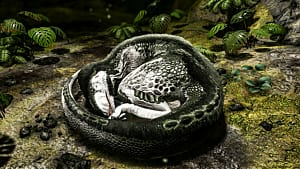 While many are the exact same name as the specific dino in question, others use completely different codes, such as "Sauropod" or "Turtle" based on their creature type.